We at Bear Foot Honey Farm love our little girls "the honey bees" and we strive to offer to you some of the finest products from the hives as well and Beekeeping Tours and Classes. We use this blogger to post beekeeping class schedules, how to instructions, and interesting bee facts. Follow Bear Foot Honey on "facebook" for more information. We thank you for considering the honeybees! 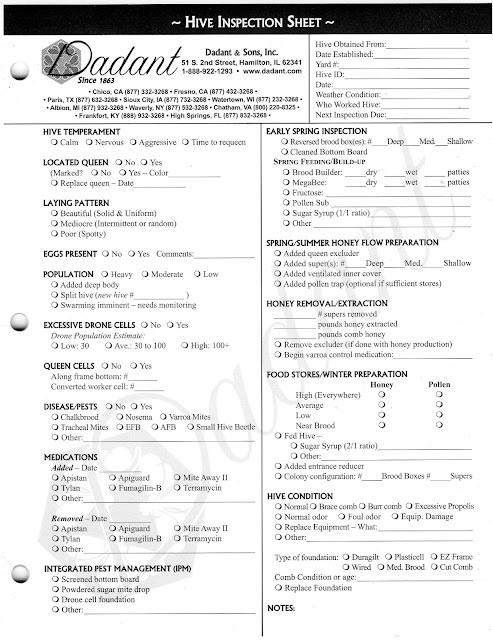 Per request we are making available the documents that were given out at our Beginining Beekeeping Classes. 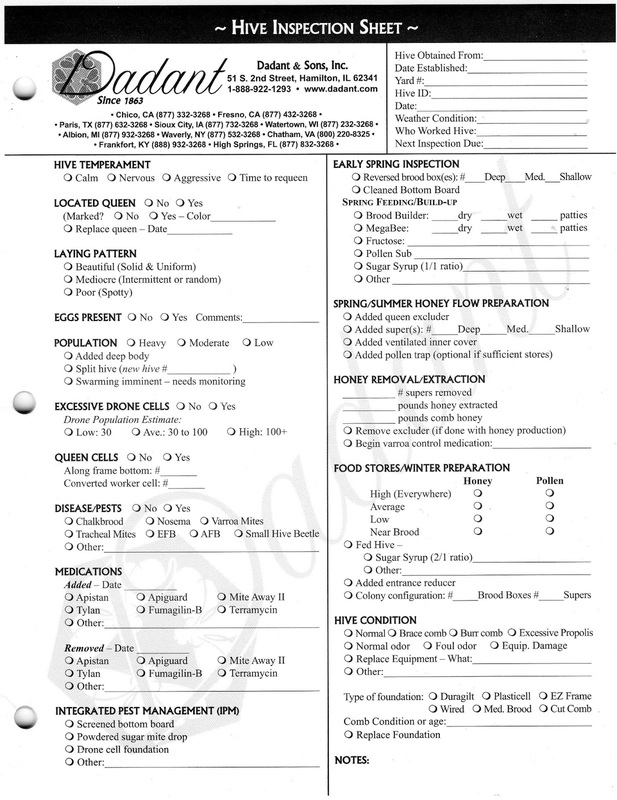 Those documents include of the Beekeeping Resource Manual in two parts, and the Hive Maintenance Information & Checklists. Click links below to Download. LATE SUMMER/FALL: Brood should NOT be widely scattered. Widely scatted brood may indicate Varroa mite damage. As discussed in class. Checking Pollen: Normally in N. California pollen is available to the bees almost year round. Note: ½ tsp of pollen in needed to rear a honey bee…lifetime. Note: Pollen gathered from Local Buckeye Trees, Azalea Trees, and Rhododendron Bush is Toxic to the brood bees. When pollen appears lacking, pollen substitute may be fed. BFHF recommends Mega Bee. Some pollens are more nutritious than others. If a honey excluder was used during the summer it can be removed for winter storage. Hives do better when entrance is faced East to South and when out of the wind. Hives should have a rain cover which can also serve as a summer shade. Hives should be tinted forward so that rain water does not run to the back of the hive. Early Spring / Fall & Winter use of entrance reducer is recommended.